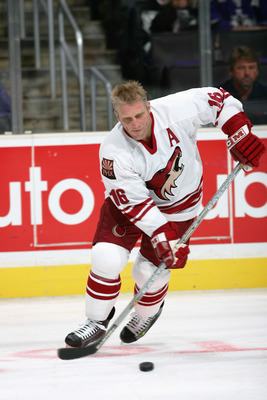 Following the ’04-’05 NHL Lockout, many star players moved on from their recognizable teams to join new squads. With the exception of one (I’ll leave him for last), none of them had any major success wearing a different jersey. With the exception of Lindros, Forsberg (they were traded for each other) is one of my few favourite non-Leafs players of all time! Any time I could get him on my fantasy hockey roster I would. I even had him for both failed comeback attempts with the Avalanche. But before that, man was he awesome! So awesome in fact that the Philadelphia Flyers threw a boat load of money at him to leave Colorado where he had won 2 Stanley Cups and a Hart Trophy to return to the team that drafted him. They even named him team captain, before trading him to Nashville during the next season. He made things right though by retiring as a member of the Avalanche. JR will always be known as the best player in hockey video game history! As well as a loud mouth flash in the pan American who’s only good seasons were while he played for the Blackhawks. 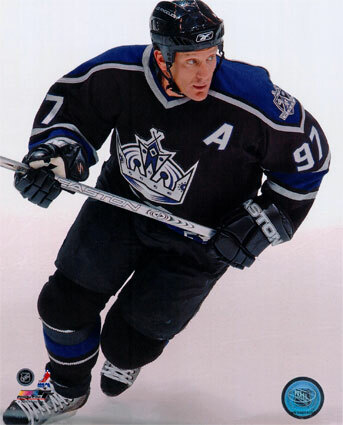 He had a decent run in Philadelphia but after the aforementioned Forsberg signing, Roenick was shown the door. Where did he land you ask? Back in Phoenix? San Jose? Well yes, but before that he played for LA where he is best remembered for his dance moves on the ice during a pre-season game in Las Vegas. 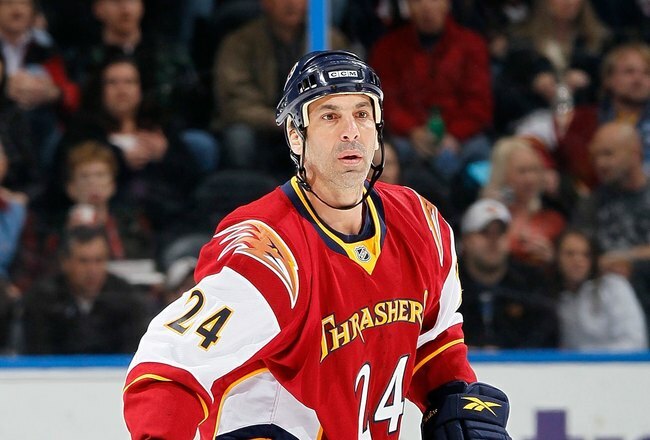 Staying with the USA Hockey/Philadelphia Flyers trend, we land on big John LeClair. 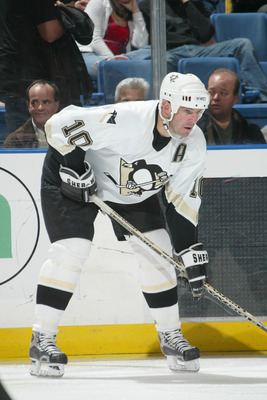 A one time 50 goal scorer along side Eric Lindros playing on the infamous “Legion of Doom” line. 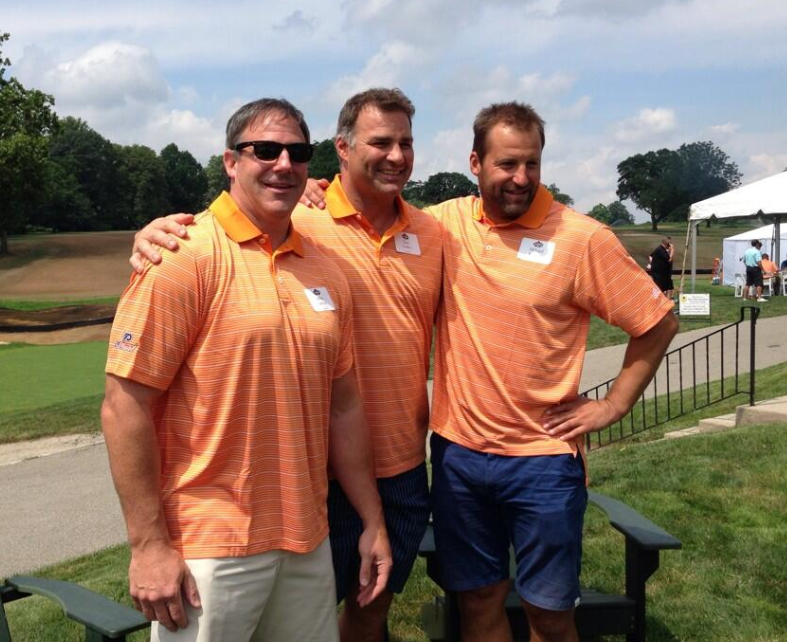 The only line LeClair is part of these days is the buffet line … am I right? Tkachuk is also now a big fat former American hockey player. Ironically he played for the original Winnipeg Jets, as well as the franchise which became the new Winnipeg Jets. 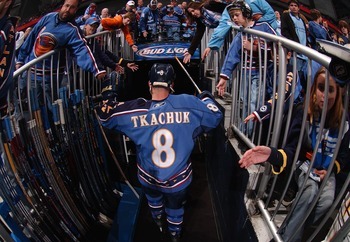 However much like the Thrashers themselves, his stay in Atlanta was a short one as he returned to the St. Louis Blues the following off season where he became quite fond of cheeseburgers. Team USA keeps on rolling with one of the best looking guys ever to lace ’em up! I mean look at him! He’s a goddam movie star! That’s probably why he was cast in the first Mighty Ducks movie! Seriously? 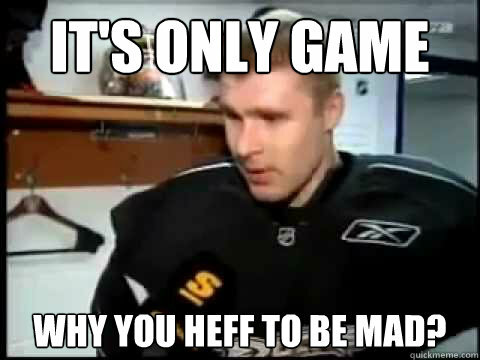 Two people are stabbed to death inside your restaurant and you just skip town and play for the Atlanta Thrashers? Didn’t you learn anything from Keith Tkachuk?